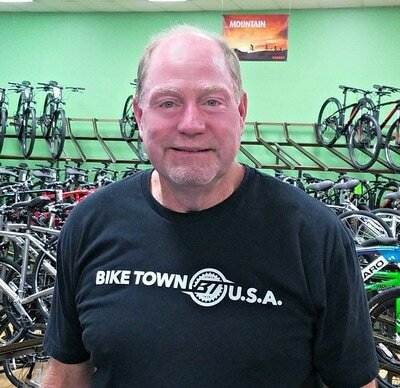 Tom Hughes the owner of Bike Town USA started his dream in 1978 in a 500 sq. 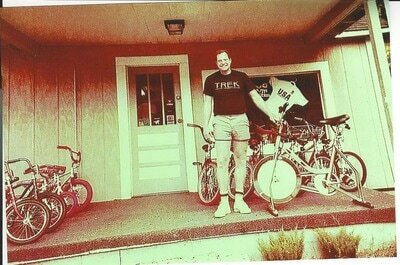 ft. house he named “The Bike House”. 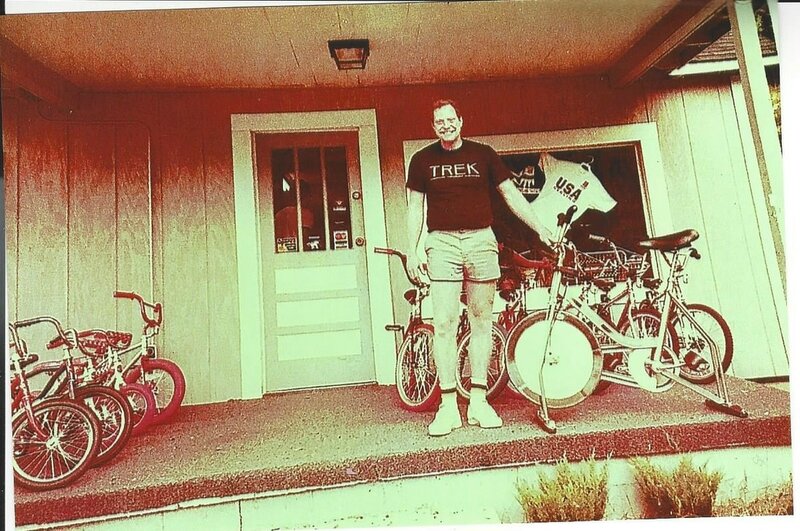 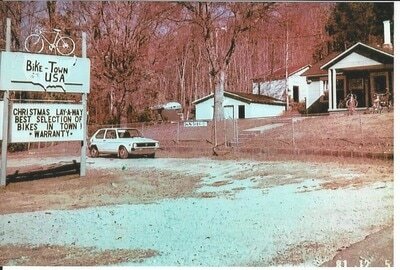 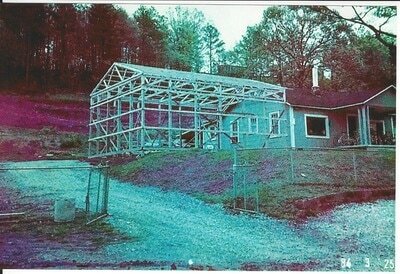 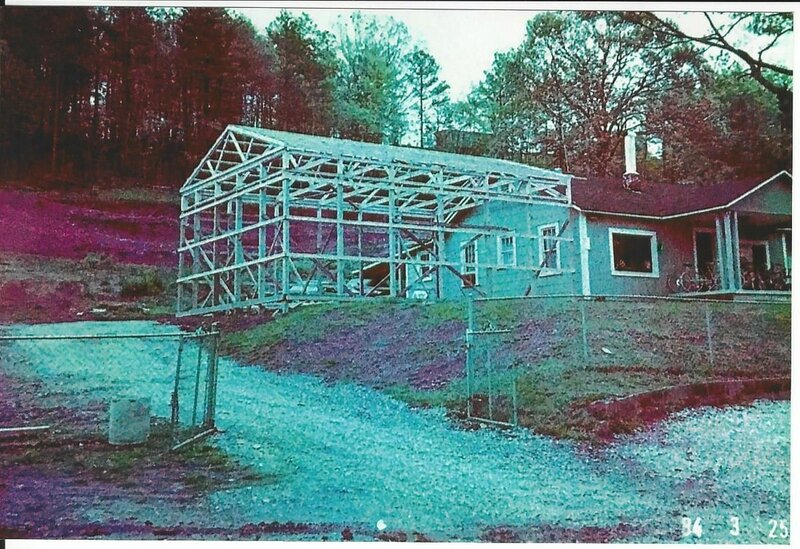 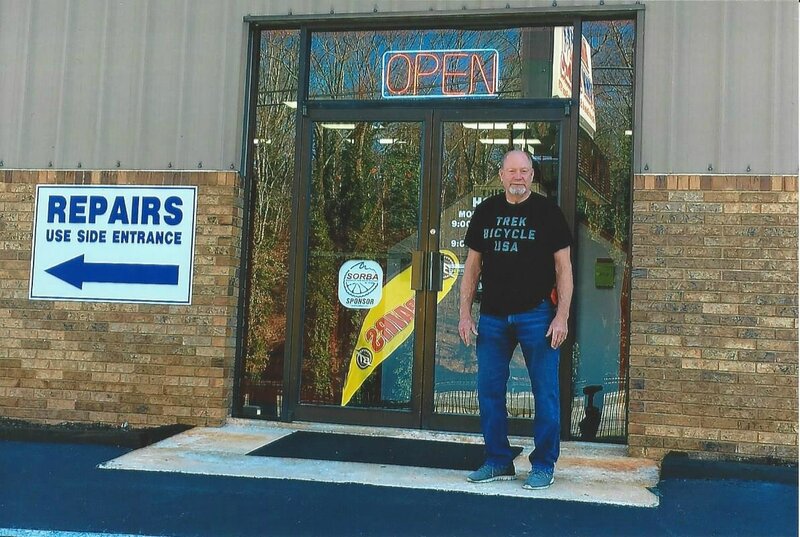 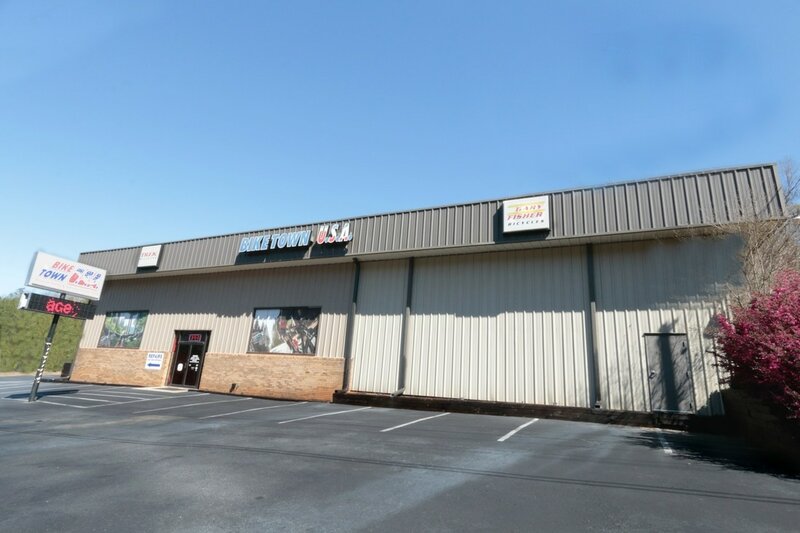 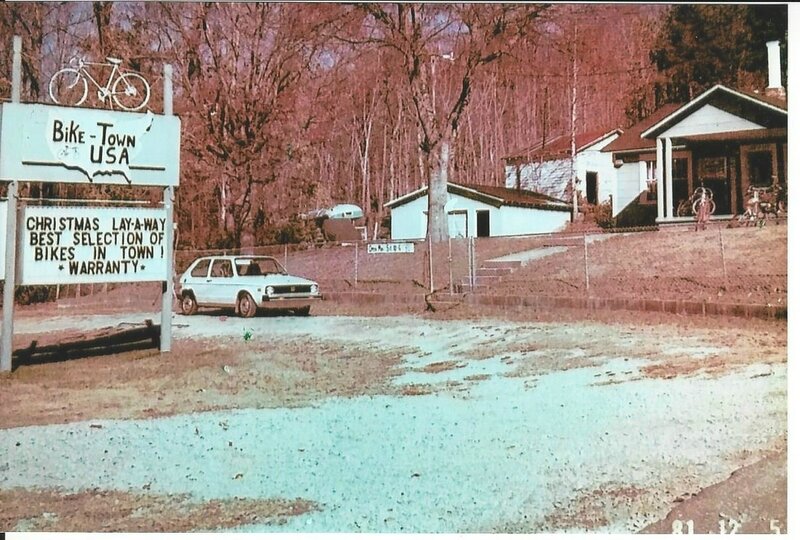 Since 1978 Tom has expanded and modernized his store on a continuous basis to now what is around 10,000sq ft. and over 300 bikes. Tom has enjoyed the community in cycling with his patrons, friends from racing, road riding, mountain biking, and other activities. Tom “Bike Town USA” has and does support the cycling community in local events to supporting legislative changes in biking laws. 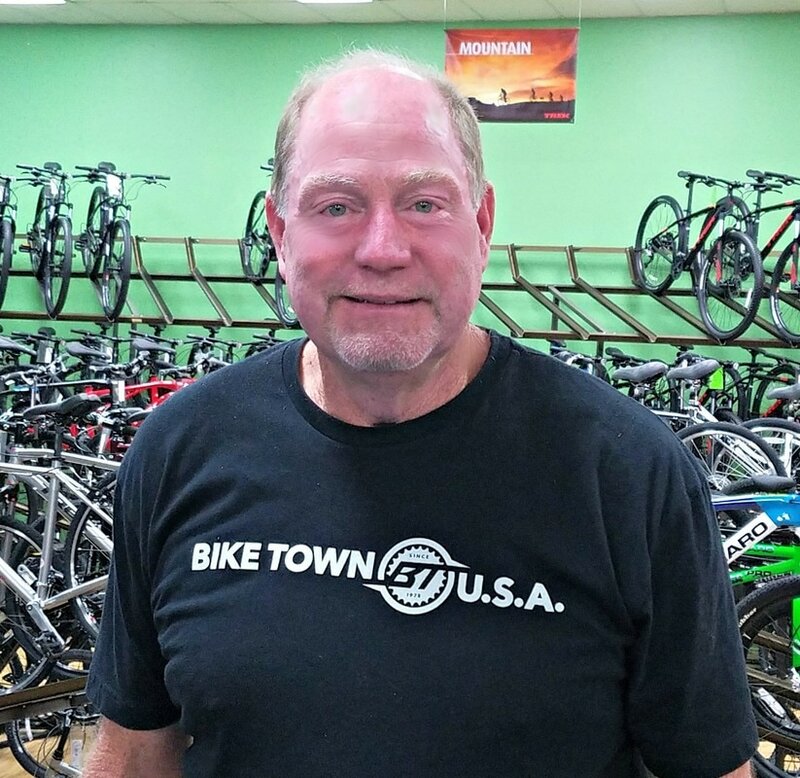 “Bike Town USA” and Tom will continue to be involved in the community and is looking forward to meeting new patrons and friends. 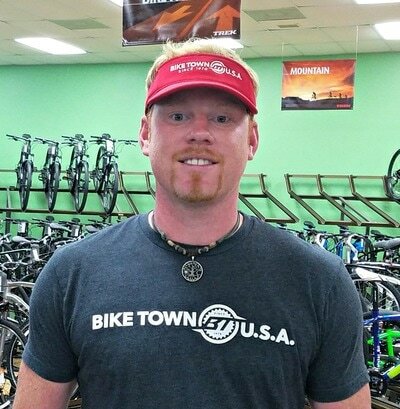 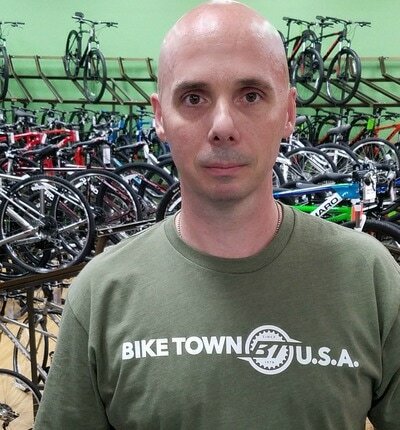 Feel free to drop into Bike Town USA, check out the store, and meet Tom and his staff.